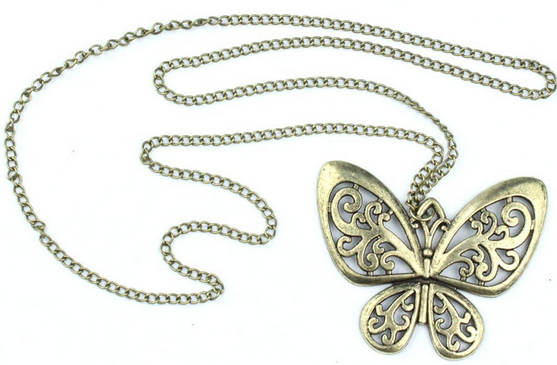 Retro Classic Vintage Bronze Butterfly Pendant Necklace Chain for only $0.83 Shipped! You are here: Home / Great Deals / Amazon Deals / Retro Bronze Butterfly Necklace Only $2.61 + FREE Shipping! Retro Bronze Butterfly Necklace Only $2.61 + FREE Shipping! Isn’t this necklace cute? With the retro look of peasant tops coming back, this Retro Bronze Butterfly Necklace would look so nice with it! Can you believe it is only $2.61 with FREE shipping?! Hurry and get this awesome deal!